Guess what today is?! 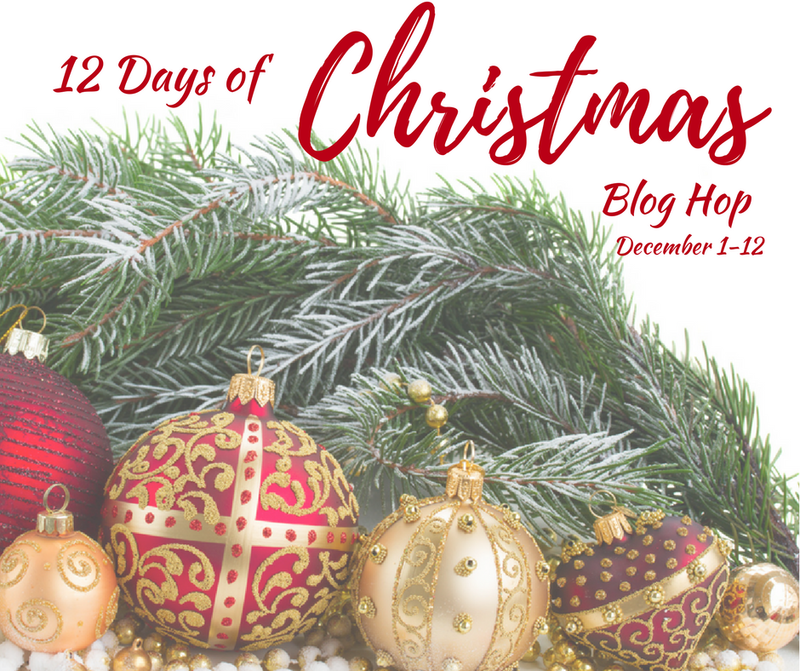 It’s the first day of the 12 Days of Christmas Blog Hop and we’re sharing hand made ornament tutorials. To kick-off the first day, my contribution is a DIY mounted plad deer head ornament! Lately, I’ve been on a birch wood slice ornament craze. I’ve already created a Snowman Wood Slice Ornament and Sparkly Wood Slice Ornament, so why not make one more?! This time, I made this DIY Mounted Plaid Deer Head Ornament, which was inspired by the rustic plaid trend. If the wood surface is rough, sand it. This will help the craft paper adhere to the surface. Place the wood slice on the back of the craft paper and trace around it. Use the traced line as a guide and cut 1/8″ smaller. Check to see how it fits on the wood slice and trim more if needed till you get the right size. Add craft glue to the back side of the cut paper and place onto the wood slice. Careful not to get glue onto the paper, so if there is seepage around the edges, wipe towards the outside of the ornament. If there is glitter on the bottom of the deer head, take the scissors and scrape off to have better adhesion to the paper on the wood slice. Add glue to the bottom of the deer head and place on the front of the wood slice. I placed mine slightly towards the bottom. Optional – Use a black felt tip pen to color the deer eyes. Take a pine branch and trim the leaves to be about 3/8″ to 1/2″ long. I used a branch cut from the back side of one of my Christmas wreaths, but you can also buy pine branches at the craft store. Glue pine branch around the deer neck to create a wreath collar. Randomly dot craft glue around the pine branch and sprinkle with faux snow. Shake off excess snow. Make a mini bow and glue onto the bottom part of the wreath collar. Screw in the eye hook into the wood slice, making sure it is centered. Add a twine loop to hang the ornament. Trim or cut off the old ornament loop on the deer head. Now, enjoy your new DIY mounted plaid deer head ornament! This is just so cute. I will have to make this with the grandkids when they come over. H9w adorable! I love how they look. I love this ornament! It’s so cute and fun! So adorable!! I love the plaid background!! I am a lover of plaid for the holidays!! So rustic! With an whole bunch of hunter in-laws, this ornament is a great idea! I can’t see the final pic…but the explainations are so accurate I can imagine how it turned out! You’re so creative, I’m envious! This is the cutest ornament I think I’ve ever seen. They would look perfect on my tree. Thanks for the idea and tutorial. Too cute, trendy and very creative, Erlene! Oh my gosh, I love these. My dad keeps trying to give me an elk head. If it looked as cute as these ornaments I would take it! These are so cute! I love how you added the wreath with the ‘snow’ around their necks! Those are so cool, I love them!